Golf may be an old game, but it's no stranger to technological innovation. The following golf accessories can help improve your game and give you a competitive edge over other players. There are selections for your inner golf geek who loves the latest and greatest out on the market. The Garmin Approach S10 GPS watch is a simple, easy to use tool that's useful on and of the golf course. During your round, the watch gives accurate distances to the front, middle, and back of the green as well as hazards and layups on 41,000+ courses worldwide. The digital scorecard lets you keep score and upload them and compare to the Garmin Community. Off the course, the unit functions as a normal watch, showing time and date. It also shows sunrise and sunset times so you know when to start those early morning rounds and how much time you have left in the day to squeeze in more golf. 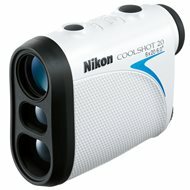 The Nikon Coolshot 20 range finder has a compact, ergonomic design that gives you accurate distances to the pin, hazards, and more. It's also very easy to use. Simply press the POWER button and the distance, with a range of 6-550 yards (accurate to 1 yard) shows for 8 seconds. The Izzo Swami 5000+ GPS packs tons of advanced technology into one compact package. This device is ready to go out of the box with over 30,000 preloaded courses and has a vibrant color screen that is east to operate and read. It allows for one-handed operation and boasts amazing reliability as well as outstanding quality. This is one of the best dollar for dollar golf GPS units on the market today. A good golf swing starts with the proper hand position and staying on the correct plane. 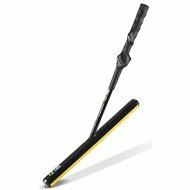 The SKLZ Power Position swing trainer aids with grip, plane, and tempo to help the golfer get more accuracy and distance. Use it indoors, on the range, or even on the first tee to train your golf muscles to swing better. 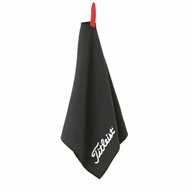 The Titleist Waffle Microfiber Towel is the ultimate ball cleaning solution for both wet and dry conditions. Its non-abrasive microfiber construction has the ability to hold up to 300% of its weight in water. 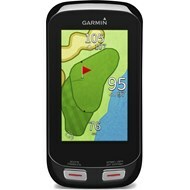 This Garmin Approach G8 GPS is the company's most powerful handheld GPS unit. It comes pre-loaded with 30,000+ courses, giving you distances to the front, back, and middle of the green, layups, hazards, and PlaysLike Distance (yardage adjustments for slope). The 3-inch touch screen gives you the hole layout and close-up of the green. Finally, the unit gives you club suggestions based on what yardage you have left. Get one of these for the golf tech junkie on your list and they won't have any excuses on the course. 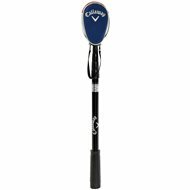 The Callaway golf ball retriever, cleverly named the "15th club" for its ability to fit into your golf bag, extends to 6 feet to help you get your ball back after that errant shot. Its aluminium alloy construction prevents bending, and its stainless steel mechanism will ensure an easy retrieval. An ergonomic, sure-grip handle makes using it comfortable and easy even in wet conditions. 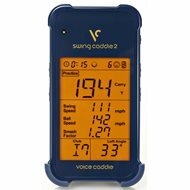 The Voice Caddie SC200 portable launch monitor is ideal for making range sessions more than just hitting golf balls. 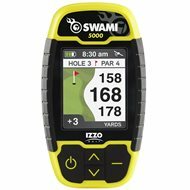 The SC200 is a radar based launch monitor that tracks swing speed, carry distance, ball speed, and smash factor, displaying it on an easy-to-read 4" LCD display. There are also 3 different practice modes to choose from. Help the golfer on your list practice with purpose with this portable launch monitor. 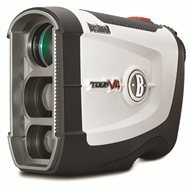 The Bushnell Tour V4 rangefinder has a sleek design and packs powerful performance in an ergonomic package. It has a total range of 5-1,000 yards and 400+ yards to the pin, accurate to 1 yeard. Bushnell's PinSeeker with Jolt technology will let the user know when they've locked onto the pin with a slight vibration. Give the confidence of knowing exact yardage on the course with this Bushnell Tour V4 rangefinder. 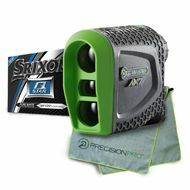 This Global Golf - Precision Pro Limted Edition bundle includes a Precision Pro NX7 Pro rangefinder, 1-dozen Srixon Q-STAR golf balls, and a microfiber towel. The Precision Pro NX7 Pro rangefinder has built in slope technology and a range of 400 yards. Srixon Q-STAR golf balls are a 2-piece ball that delivers tour-level performance. The lower-compression core give the ball excellent distance on full shots. The cover has Spinskin™ technology that more spin around the green. Finally, the microfiber towel will keep your clubs clean for their best performance. Practicality is an important factor in choosing a great gift, but the best golf gifts for men are the ones with both quality construction and stand-out style. It's what takes it from being something he'll like to something he'll love.